Cruel joke: Malvolio dresses and acts silly in front of Olivia. Set under the sea, Taffety Punk’s quirky production looks quite different than this, Malvolio appearing as if he were in a Jacques Cousteau film. Taffety Punk can chalk up another success with its production of Twelfth Night, now playing at the Capitol Hills Arts Workshop in Washington, DC. Led by Esther Williamson (Viola) and Tonya Beckman (Olivia), the strong cast under the direction of Michelle Stupe spoke their lines flawlessly and without missing a beat in the sold-out show I saw Saturday. Taffety Punk is arguably the best entertainment value in town. The company’s innovative, polished performances of Shakespeare consistently satisfy, and at $10 for a ticket, it’s a theatre-lover’s dream. I got a particular kick out of Sir Toby Belch, whom Ian Armstrong played as a guitar-strumming rocker and 24-hour party guy singing many of his lines. His sidekick, Sir Andrew Aguecheek, in an excellent performance by Jared Mercier, was hilarious alongside the witty Maria, superbly played by Jennifer Hopkins. Kimberly Gilbert delivered an interesting, thoughtful interpretation of Festes, the Fool, and once more demonstrated her fine musical talents. She has a wonderful voice. Dan Crane (Sebastian), Ricardo Frederick Evans (Duke Orsino), and Robert Leembruggen (Antonio) were also very good, making for a solid cast all around. For me, however, Daniel Flint stole the show as the much abused Malvolio. 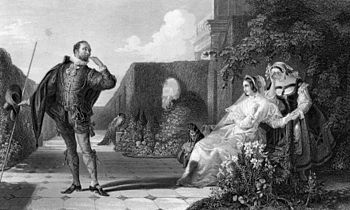 The scene in which Malvolio reads the letter Maria has written in Olivia’s hand, tricking him into thinking Olivia is in love with him, was one of the best Shakespeare scenes I’ve watched in recent years. Crane was very convincing as the duped suitor with laugh-out-loud results, his performance reminding me why Twelfth Night is the Bard’s funniest play. This show is a two-thumbs up. It runs through February 23. I hope you can still get tickets!